Today I have a 5 star restaurant secret recipe for a yummy dessert that is served at the New York City hot spot, Lavo. Lavo is an Italian restaurant and nightclub with locations in Las Vegas and New York. At Lavo, New York, Chef John LeLoach serves a delicious menu featuring his refined cooking styles One of their popular desserts is this simple fried Oreo zeppole that is served with a vanilla milk shake. What’s not to love? Mix all dry ingredients in mixing bowl. Whisk eggs and club soda together, then whisk into dry ingredients until well blended. Dip Oreo cookies into batter and fry until golden brown in 350 degree F oil. When cooked, place on paper towel. Put all ingredients in a high-speed blender and whip on high speed for 20 seconds. Pour into sundae cup and garnish with an Oreo cookie. Not only is it Friday, it’s Cinco de Mayo! So to get the fiesta started I’ve shared some delicious recipes(below) for Mexican dishes. 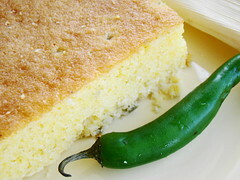 First I have a secret recipe for a sweet and savory Mexican corn bread that is made with jalapenos. This dish is only one of the great authentic Mexican recipes featured in the “Recipes From South Of The Border” cookbook. In this book, you will find the finest examples of culinary creativity from this intriguing and vibrant country. Sift dry ingredients together into a bowl. In another bowl, beat together milk and eggs. Then beat in melted butter. Add wet mixture into dry ingredients. Stir in remaining ingredients. Mix thoroughly. Pour into a greased 8′ or 9′ square pan. Bake in a preheated oven for 30 minutes at 400 degrees F.
I’m sure you’re looking forward to enjoying the weekend. To help you do just that, I have selected some great-tasting recipes that can be prepared in a flash. Before I get to those, I would like to share a secret recipe for a cool and sweet melon smoothie that is sure to tickle your taste buds. 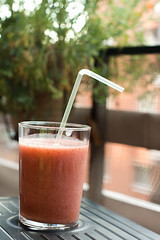 This recipe is only one of the healthy smoothie recipes featured in the “Sensational Smoothies” recipe book. This book contains a delicious collection of smoothie recipes to help you stay healthy and full of energy. Combine all the ingredients in a blender and blend until smooth. Pour into a tall glass and enjoy.